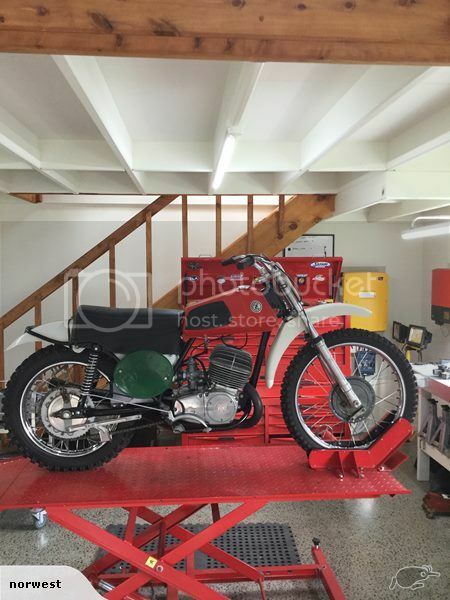 New 1973 CZ250 on trademe. 8 grand start bid. 'Yes New'. Tony27 where are you. Re: New 1973 CZ 250. Bugger it, photobucket flexing their muscles. Right click & go 'open in new tap' or 'open link in new tab' seems to overcome the issue. Have seen the listing already Morley, don't see things like this pop up very often & probably first time I've seen something like this in New Zealand. yep thought you probably be onto it, mate text me. Usualy look at new listings regularly but missed 'that gem'. very cool,I had one of those briefly.Good strong bike. Still have one. A bit of race bling and it was my regular race ride in the early/mid 90's. Good bike.